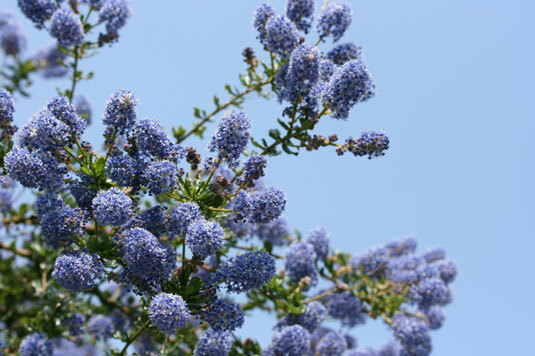 Ceanothus. Evergreen shrubs and groundcover. Zones 8–10. Easy care, drought tolerant. Beautiful spring-blooming flowers. Lonicera japonica. Deciduous vines. Zones 4–11. Fragrant showy flowers. Especially good for ground cover erosion control. 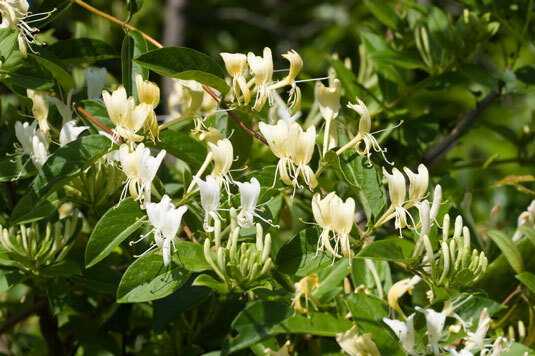 Honeysuckle can be valuable in a chicken garden, but it has known toxic qualities to chickens. Chickens generally avoid it in free-ranging situations. Never feed it directly to your chickens. Malephora. 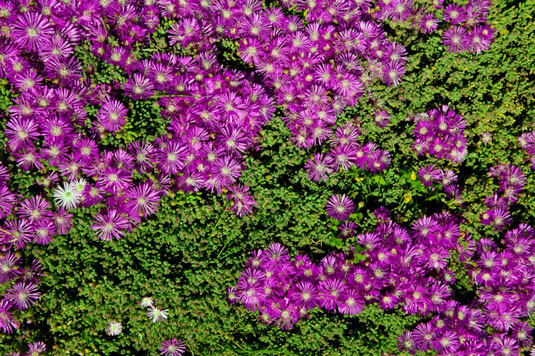 Succulent perennials. Zones vary by species. Durable perennial for heat, winds, and fire. Drought tolerant. Low maintenance. Plants bloom over a long time. 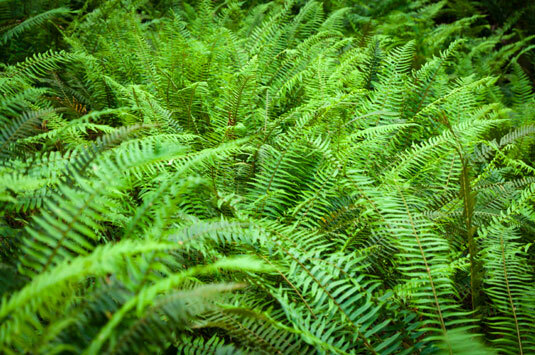 Polystichum munitum. Zones 3–8. Most common fern of Western forests. Beautiful, long, lush, dark green fronds. Partial or full shade.